New great app for GDPR! 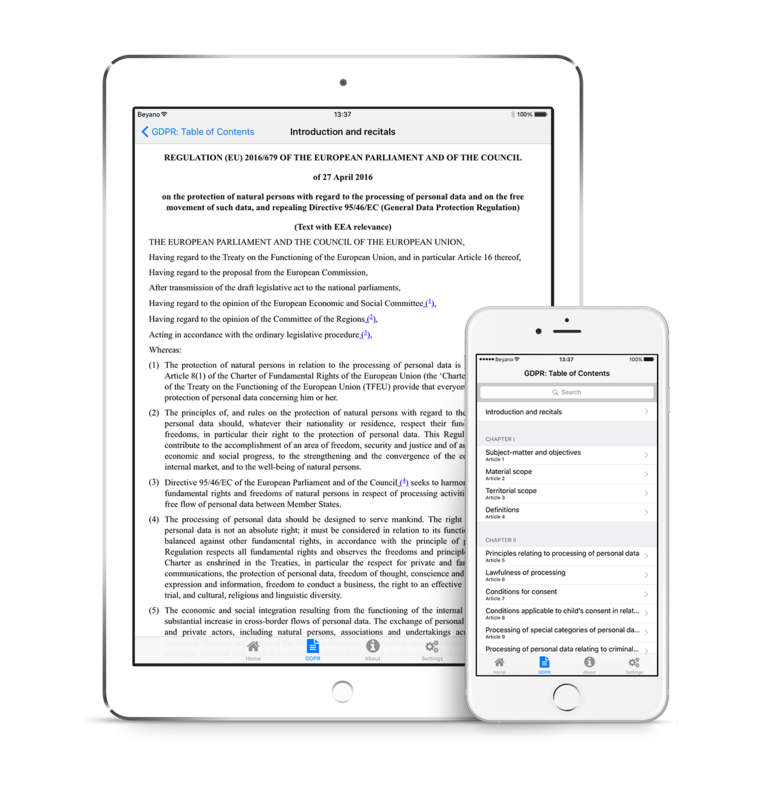 Download GDPR – General Data Protection Regulation free from the App Store to make sure you always have instant access to all the articles and recitals. Works for both iPhone and iPad!